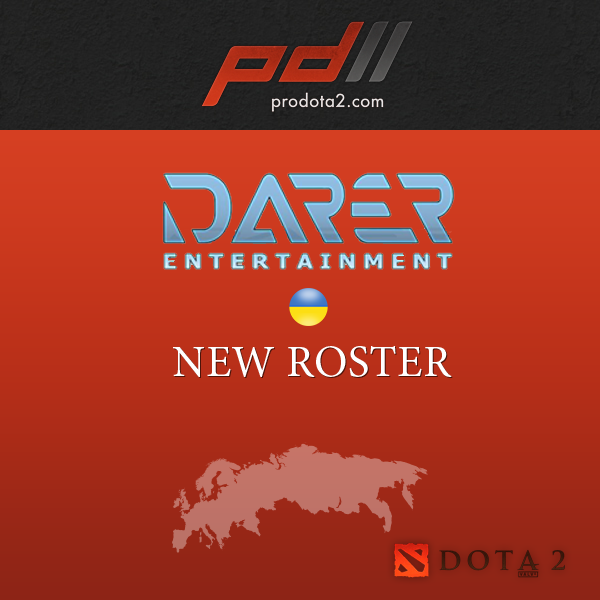 In the last week or two we've seen a small falling out in one of the more dominant and internationally known teams Darer; with NS, Santa and Dread deciding to leave the team and join one of the most popular cybersport organizations in the Russian Federation - Virtus.Pro. This news came as a shock to the team and they had to scramble to find a new roster for upcoming tournaments. Darer jumped on the case and managed to fill their roster relatively quickly. If some of you had happened to watch Darer playing against INFS, you would have seen 2 standins, which are already part of the 'new' team. 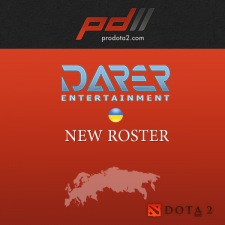 The new Darer roster currently is locked in a three way tie for third place for ProDota 2. So far they have managed to take a revenge win against Moscow5, then losing to INFS. Given the players listed on this roster there is little doubt of the potential that this new roster has in store for us in the near future. All I can say is that we had some problems with the roster, but we won't allow that to stay in our way. NS, Dread and Santa left the team without any notice, but that's ok. The sooner the "unstable" players leave, the sooner we can find new stable players that are here to win. And this is exactly what happened when we found Lacoste, ComeWithMe and Freezer. We are proud to have them in our team and we all believe that with hard work, we can reach the top. Hi, everyone! As you know, Virtus.Pro got three players from the Darer team, which did in fact qualify for the European PRO League Region. I want to note that this slot will continue to be held by the Darer organization, not for the players. So just so we're clear, Darer will stay in this tournament with any kind of roster. JACKSON HELLO HOW ARE YOU? Interesting, but they changed roster again. It reduces the chances of getting invite on TI2.